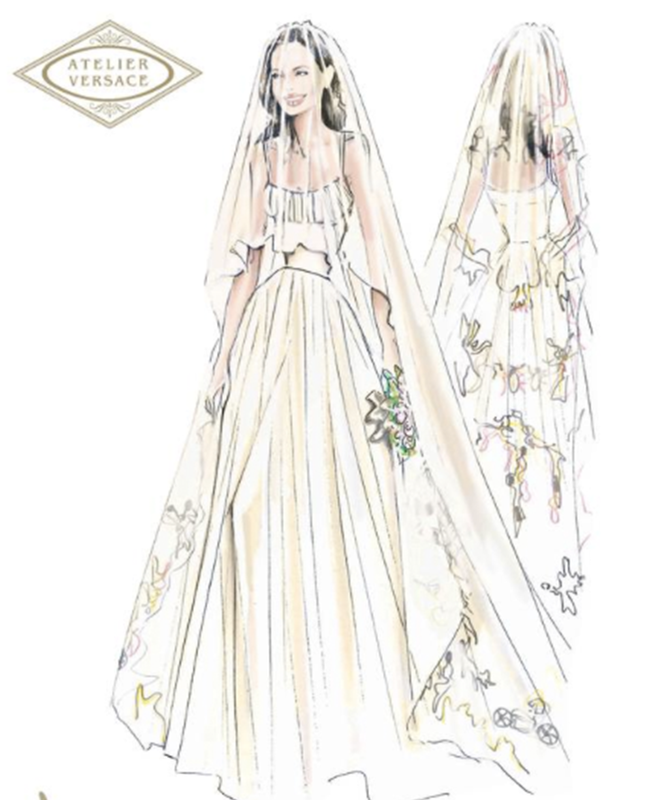 The big surprise of Brad Pitt and Angelina Jolie's wedding was Jolie's wedding gown which was designed by Atelier Versace and detailed with her children's artwork. Jolie said of the incredible design : "Luigi is like family to me and I couldn't imagine anyone else making this dress. He knows and cares for the children and it was great fun putting it together." The train and veil featured artworks by the couple's children 13- and 10-year-old sons Maddox and Pax, 9- and 8-year-old daughters Zahara and Shiloh, and 6-year-old twins Vivienne and Knox. See the beautiful sketches here and the final result. We wonder if this will start a trend for art-inspired celebrity wedding dresses this Autumn.